This paper addresses the challenge of generating test sets that achieve functional coverage, in the absence of a complete specification. The inductive testing technique works by probing the system behaviour with tests, and using the test results to construct an internal model of software behaviour, which is then used to generate further tests. The idea in itself is not new, but prior attempts to implement this idea have been hampered by expense and scalability, and inflexibility with respect to testing strategies. In the past, inductive testing techniques have tended to focus on the inferred models, as opposed to the suitability of the test sets that were generated in the process. 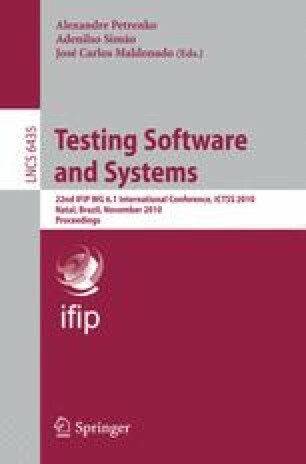 This paper presents a flexible implementation of the inductive testing technique, and demonstrates its application with case-study that applies it to the Linux TCP stack implementation. The evaluation shows that the generated test sets achieve a much better coverage of the system than would be achieved by similar non-inductive techniques.